The Hope Centre has recently benefited from a makeover – not just any makeover, but an M&S makeover. As part of their Making Every Moment Special in Your Community campaign, the local Marks and Spencer team chose to support the Hope Centre in Atherton Street which supports people who are homeless, or at risk of homelessness, to move towards independence and to achieve personal goals such as securing accommodation or benefits. The team made a number of visits to the centre to discuss with staff what they felt they needed support with. Staff said that they would like to brighten up their café area, which hosts breakfasts Monday – Friday for people who are homeless or who are at risk of homelessness. Staff were then surprised to find that the team had transformed the whole building, including modernising the café, providing a relaxing seated outdoor area, displays of artwork on the walls and spruced up the support room where service users are first greeted. 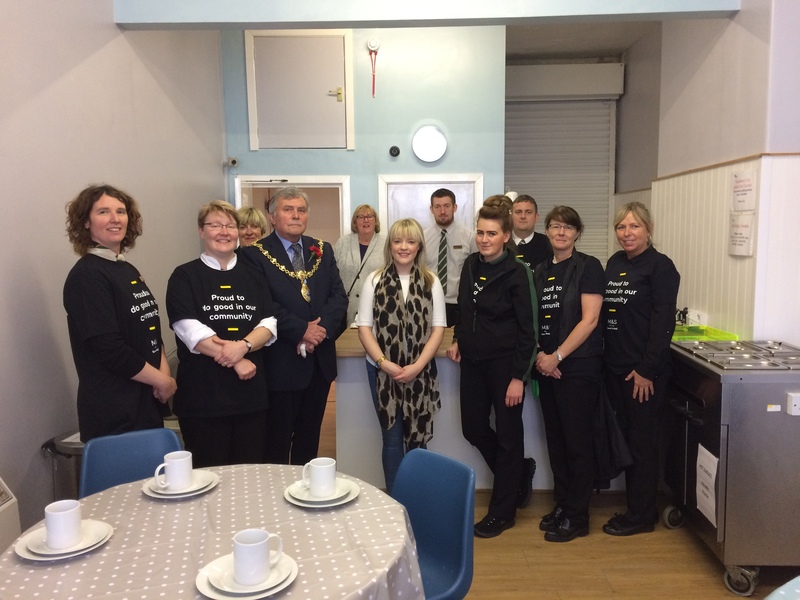 The Mayor of St Helens Councillor Joe Pearson, along with staff from the Hope Centre and Marks and Spencer team, launched the transformation and welcomed service users into their newly designed café. Sarah Barton, Hope House Manager at the Hope Centre said: “We really appreciate all the hard work and effort that the Marks and Spencer team have given. We can’t thank them enough as it has really made a difference to the centre. It now looks modern and fresh – our staff, volunteers and service users couldn’t be happier with it!